Check out how to teach your kids to make financial resolutions and to keep them. It is a new year again and time for making resolutions. This time, make sure there’s a financial resolution in your list and in your children’s list too. But, do you often forget or find it difficult to keep your resolutions, especially if it’s financial? If so, then don’t worry. There’s a way out. You have to plan and execute it properly and teach your kids the same. 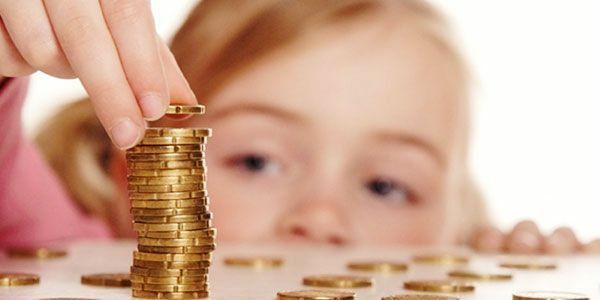 Here is a guide on how to teach your kids to make and keep financial resolutions. Precisely, you have to be a resolution role model. So, before teaching your child about how to make and keep resolutions, ask yourself how good you are at it. So, first of all, make resolutions that you can keep and try to achieve them. Do not set a target of saving a lump sum amount at the end of the year; set a target that you can achieve and be a role model for your child. One of the best ways to teach your kids is to discuss it in the dinner table prior to the new year. Bring your resolutions and ask your kids to do the same. The main thing to keep resolutions is not to make too many of them. And, when it comes to financial resolutions, they should try to do it one by one. Probably the best way to achieve is to ask them to write their resolutions on a piece of paper. Then help them to narrow the list to only one or a couple of things. This will help them to focus on their resolutions. Tell your children to make one financial resolution along with at least any other resolution. For example, they can make a resolution to eat healthy things and save 10% of their pocket money. Encourage them to make their list fun and personal that they want to follow. You will have to check occasionally how far they’ve gone to keep their resolutions. However, do not nag about it if they forget or don’t follow them all the time. Instead, motivate them to keep resolutions. Make it an exciting and fun-filling activity. You can reward them, say, if they’re able to keep the resolution for a continuous 30 or 60 days. Your kids may not always keep the resolutions. If that happens, talk to them about what went wrong, so that either they can try to keep the resolution or next time make one that they can follow. Can you keep all the resolutions that you make in the new year? Are they easily achievable? It may happen that you had thought that you’d be able to achieve them, but you’re finding difficulty. Say, for example, you had thought to save about $1000 every month but you’re not able to do it. Then, why don’t you try to deposit about $33 every day in a jar? Does this sound impossible? No… isn’t it? It is pretty achievable. Even if you can’t do it daily, you can save a decent amount at the end of the month. It is about breaking your resolution into small achievable parts. Ask your kids to do the same. If they have decided to save $100 per month from their pocket money, ask them to drop $3 in a jar every day. Breaking a resolution into small parts can make them easily achievable; at least your kids can achieve a significant part of it. I am sure you’ll agree with me if I say that a thing becomes easy to achieve when you enjoy it. So, make resolutions a fun-filled family activity that all of you can enjoy. There is no harm in discussing some of your resolutions with your grown-up kids. Researches have revealed that more than three-quarters of parents don’t feel comfortable to share their money matters with their children; sometimes they fear that their bad money habits may influence their kids. However, try to raise financially savvy children. And, to do so, you’ll have to make financial resolutions, follow good money habits, and be a role model to your children. So, what financial resolution are you thinking about? Page loaded in 0.977 seconds.